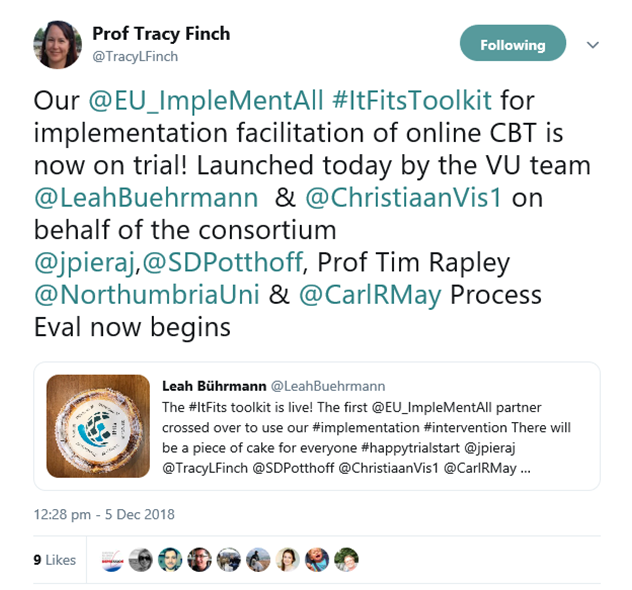 This week, ImpleMentAll's main outcome, the ItFits-toolkit, went live - more than two years before the original deadline. Reaching this point has required an enormous effort from the development team, which has worked incredibly fast to make sure the toolkit was ready for 1 December 2018. 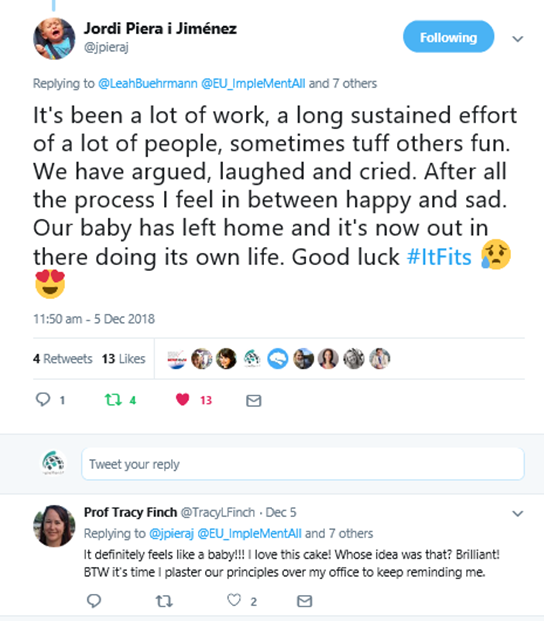 On this date, the first two implementation sites crossed over and they are now using ItFits to guide their implementation process. 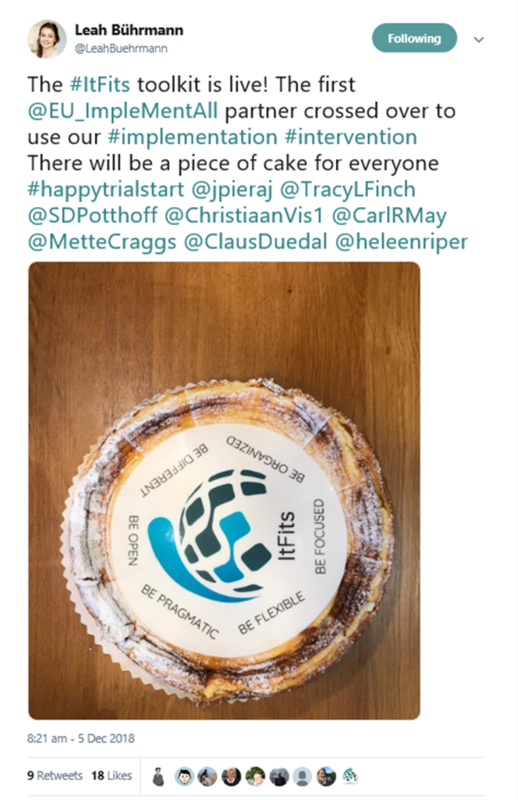 This major achievement was celebrated with a six-principles-cake, perfectly summarising the underlying principles of the toolkit - along with a number of tweets summing up the experience of the development team.